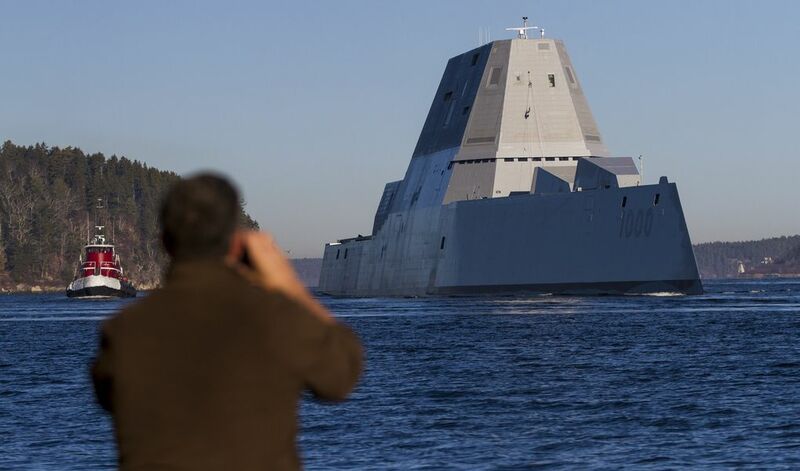 America’s largest and most futuristic destroyer has headed out to sea for the first time ever. 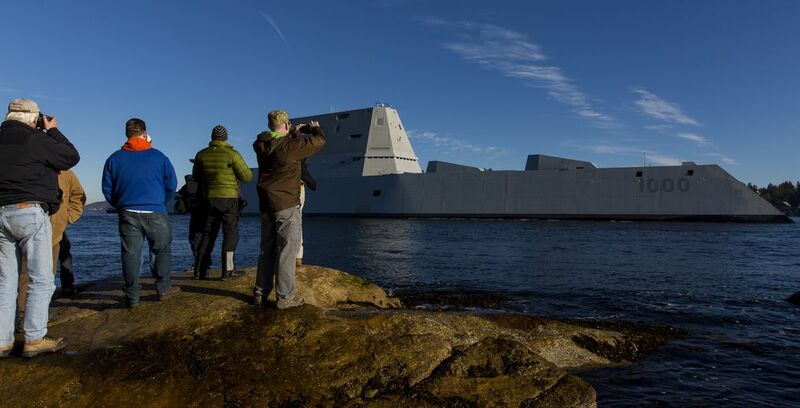 The USS Zumwalt departed from the Bath Iron Works shipyard earlier this week for its first open ocean trials. it took 8 years to complete and spent billions on R&D, With its inward-sloping sides and sharp angles, the Zumwalt — the first of three ships in its class — is thought by some to represent the future of the Navy. 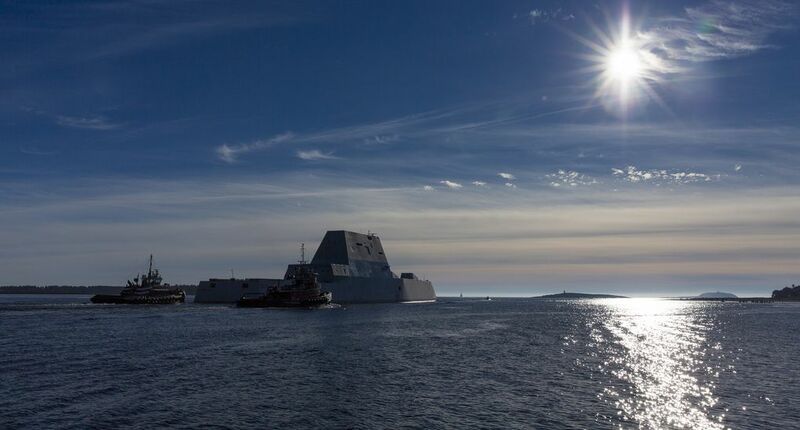 The Zumwalt–class is designed to operate in both the ocean and shallow waters, with its backers claiming it can fulfill a number of roles, including protecting larger ships and firing on inland targets. It’s also heavily automated by Navy standards, with a projected crew of just 158 — almost half the complement onboard the Navy’s current Arleigh Burke-class destroyers. The Zumwalt-class also generates enough power to incorporate any future railgun or laser weapons the Navy develops, although the construction of the ship has been hit by increasing costs over the years. Thirty-two ships were originally planned for, with this figure dropping to 24, then seven, and then three — each costing just under $4 billion.